Maximus taps into the power of TechnoResearch shop tools and software to provide rich features and tuning possibilities for the most novice to the most advanced users. Maximus utilizes the hardware specifications of the VCM-TR3, the diagnostic features of Centurion Basic, and the tuning capabilities of Direct Link. 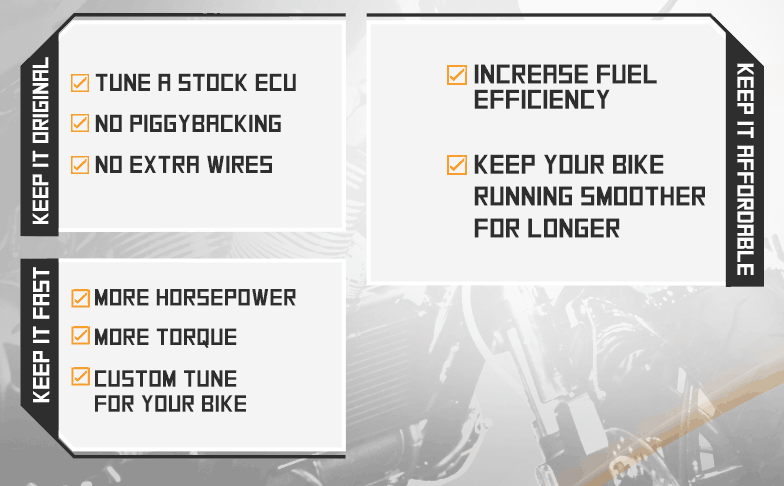 This all in one tool has been developed for all Harley Davidson models built from 2001 to 2017. Maximus allows for backing-up and restoring original maps, re-flashing stock ECUs, and performing routine diagnostics. Maximus is a single-user tool that can also be used by a TechnoResearch tuning center if the single-user decides they want a professional tune. Provides power from motorcycle for Wideband O2.